One of the classic Las Vegas Sports books, the Caesars Palace Race and Sports book has been consistent in its quality and service for many years. The ticket writers here are generally very friendly and helpful as they deal with customers ranging from $2 bettors all the way up to the wise guys bringing in stacks of “hundys” to place NFL bets on Sundays. In something straight out of a Martin Scorsese movie, I once observed a young man no older than 22 or 23 years old actually reach into a duffel bag he was carrying to pull out neatly rubber-banded stacks of hundred dollar bills – he was placing bets at the ticket window on a college football Saturday morning. There are two large sitting areas for sporting events and horse racing, which are side-by side and one can generally follow both the ponies and sports via the jumbo screens that this sports book provides. One knock is that this sports book is not as intimate as other locales due to its openness and size, but that’s simply a chink in the armor. For big sporting events – everything ranging from the NCAA Basketball Tournament to the World Cup, Caesar’s Palace is a good bet. Get here early on big sport days (NFL, College Football, etc.) as the Caesar’s sports book can get busy. Cocktail service is decent, but be patient on busy sports days – bettors can obtain drink tickets when making horse racing bets or large sports wagers. Also, sending a dollar or two the ticket writer’s way “for luck” (regardless of what or how much you are betting) is always helpful in getting some drink tickets thrown at you. The adjacent bar, which is only a few steps away, will accept drink tickets from the sports book if the cocktail waitress is MIA. Odds and Ends: The Keno area is connected to the sports book – many strip hotels are doing away with live keno. So if your lucky numbers aren’t hitting any trifectas or daily doubles, perhaps a chance to get fortunate watching numbered ping pong balls bounce around for awhile at the adjacent keno area will do. Also, the bathrooms are directly connected to the sports book, which is a good thing for those taking advantage of the ticket writer’s generosity with the complimentary drink tickets. Caesar’s has a multitude of eating establishments (the happy hour menu at P.J. Clarke’s located in the Forum Shops is more than acceptable and won’t break the bank) PJ Clarke’s closed at the end of 2013. But, aside from the Mesa Grill located directly behind the sports book, you’ll have to walk a bit for some food. The food court near the Forum Shops casino entrance has some variety as well. 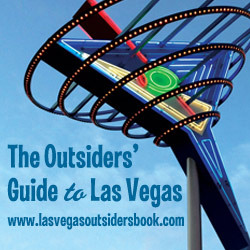 Thanks for checking out The Vegas Parlay – The Las Vegas Sports Book Blog. 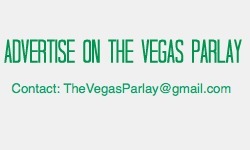 Connect with us on Twitter @sportsbooktom or via The Vegas Parlay Facebook Page.